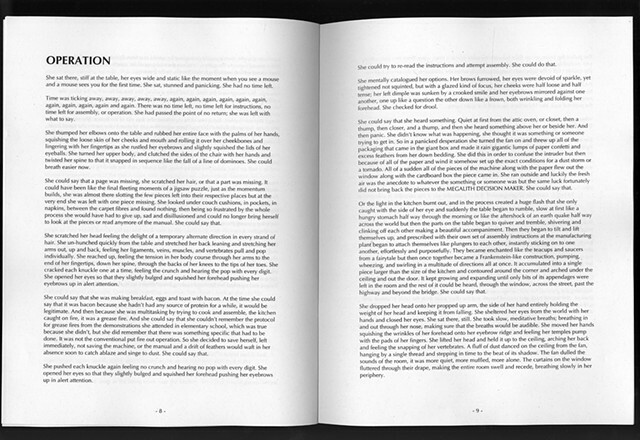 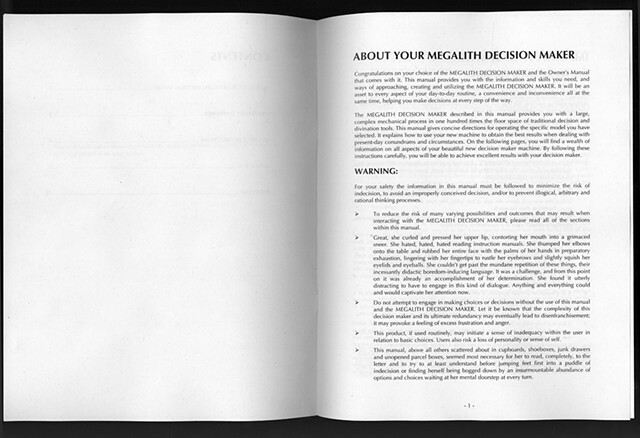 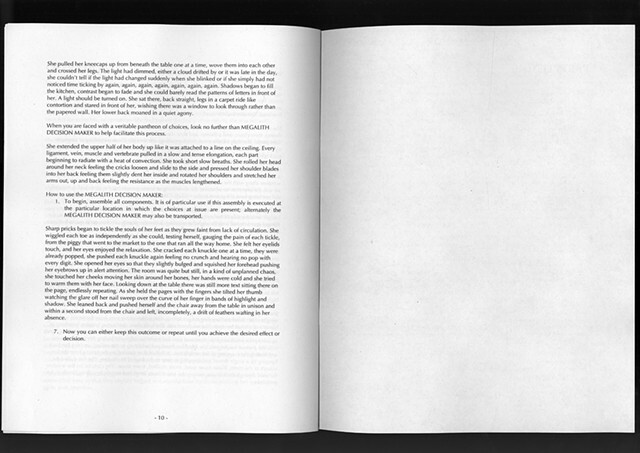 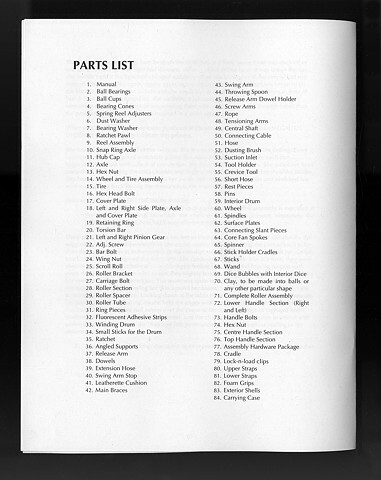 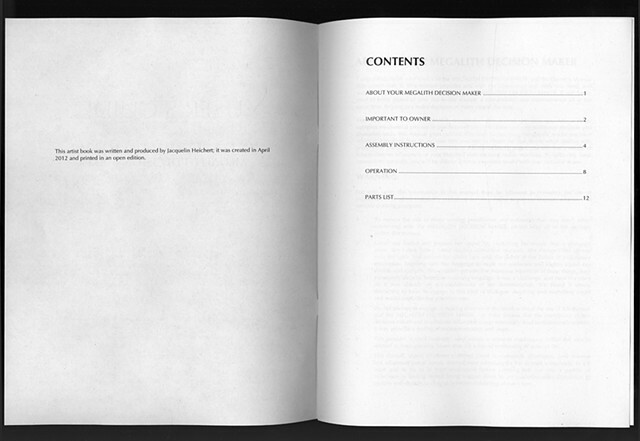 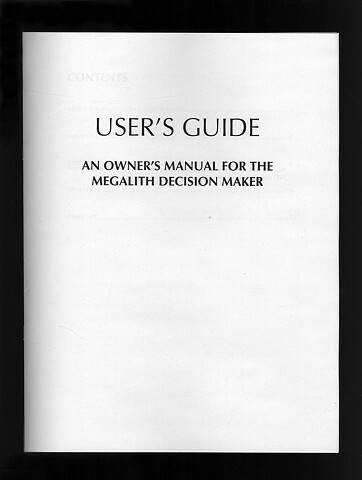 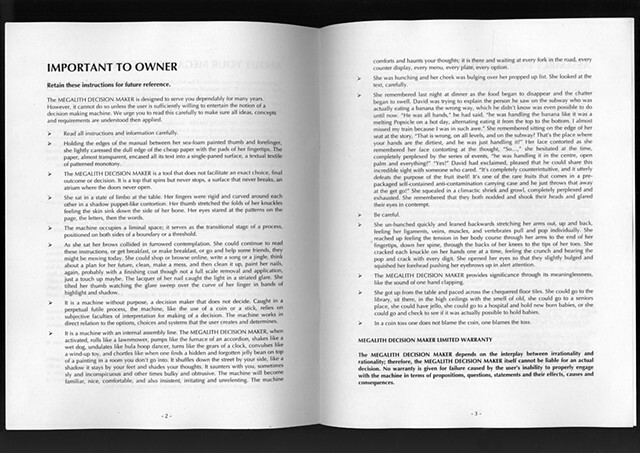 The "User's Guide; An Owner's Manual for the Megalith Decision Maker" is a conceptual writing project and bookwork that parallels an owners manual. 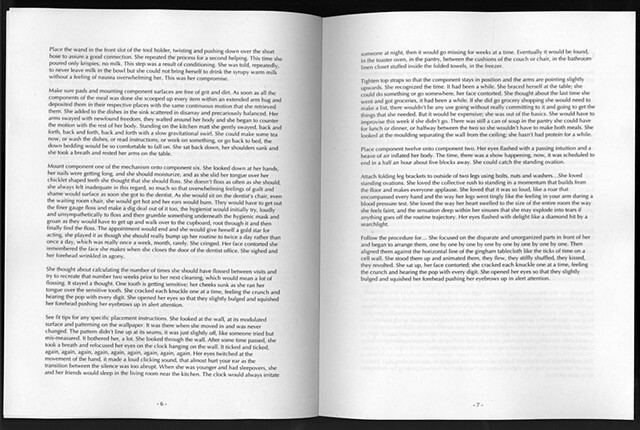 However, while describing the aspects of an elusive and abstract decision making machine and its operations this project also describes the protagonist as she follows or at least tries to follow along while reading. 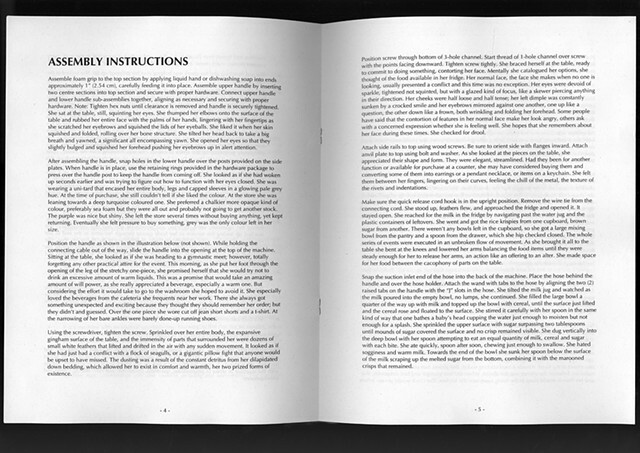 This piece attempts to access and elicit a state of consciousness provoked by owner’s manuals that is roaming, distracted, didactic and interested in anything but the text or task at hand.